Hello all! Well, we've been moved in for the last week and I'm finally starting to feel settled in! I still have a handful of boxes to unpack and then I'll be done! I just posted a new page which has a gallery of all the creations made from the wonderful beaders who participated in the Summer Lovin' kit challenge. Please check it out if you haven't had a chance to see all the wonderful work! I am so grateful for the interest in these kit challenges. I just love to see the amazing individuality shine through, even though everyone starts with the same kit. As always it was a huge inspiration. I am doing a drawing for the participants, but I haven't unpacked the prize yet - - but I will do it this week! I'm still feeling a little behind on my beading projects. Next up is the Bead Soup Blog Party reveal coming up on August 11.. I just started working on that and hope I can do justice in showcasing Alenka's beautiful polymer clay work! 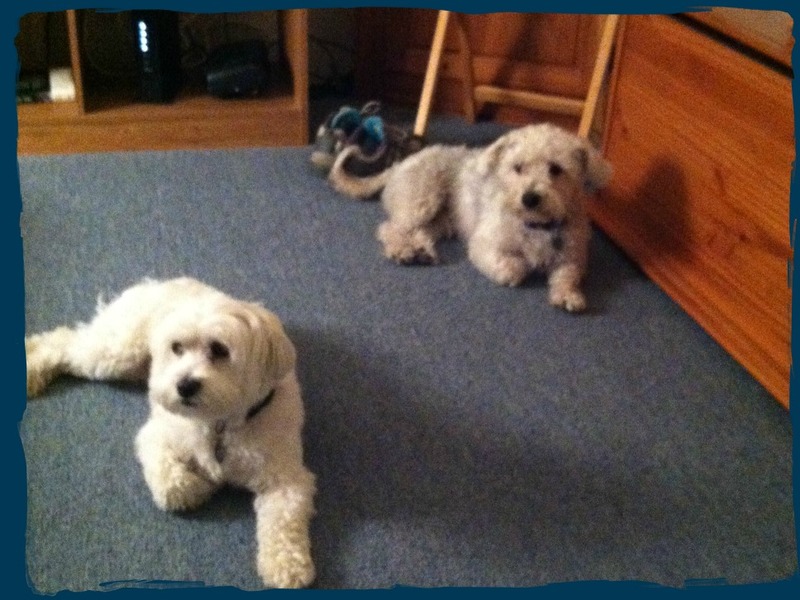 My cute dogs, Molly and Bingo. Hahah - aren't they funny they way they sit there in the same position!!!??? I ♥ them!!!! And a gorgeous sunset I captured while walking them one night this week! Glad you are getting settled in. I do that all the time put something where I won't lose it and then I can not remember where I put it. Those are some cute puppies. I have been working on my BSBP piece all day today. I'm glad to hear you're settling in. Even your adorable dogs look content! Awww Molly & Bingo are so CUTE!!!!! Beautiful sunset!